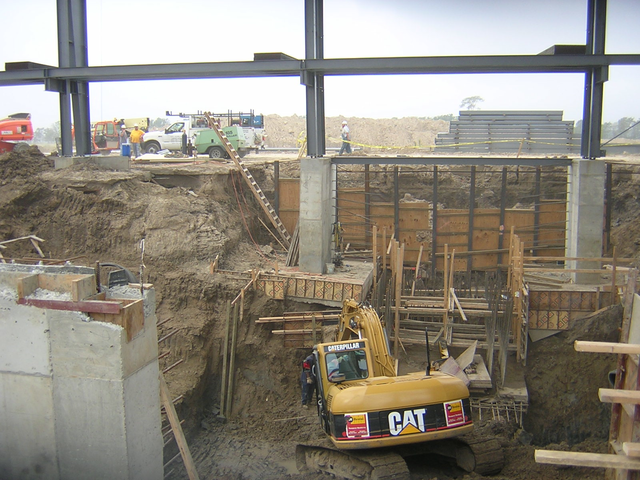 Over 25 years ago Kaufman became the first contractor in this region to use manufactured resistance piers underpinning to solve structural settlement problems. We had our pick of all the products available to the marketplace. After extensive research, we selected the Atlas System products for their superior engineered products and competitive pricing. Kaufman became the first certified Atlas pier contractor east of the Mississippi river. With 25 years of history with this technology, you cannot find a more experienced contractor for your projects. The Atlas Resistance® Pier is a manufactured, two-stage product designed specifically to produce structural support strength. First, the Pier Pipe is driven to a firm bearing stratum; then the lift equipment is combined with a manifold system to lift the structure. The Atlas Resistance® Pier System procedure provides measured support strength.